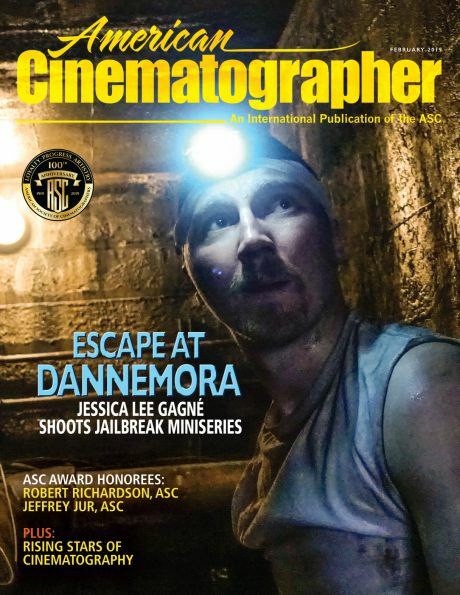 After recently revisiting director Martin Scorsese's Oscar-winning crime drama The Departed (2006) — loosely based on the hit Hong Kong thriller Infernal Affairs (2002) — we felt compelled to create a gallery celebrating the great Michael Ballhaus, ASC's fine work in the picture, which became his penultimate feature project. 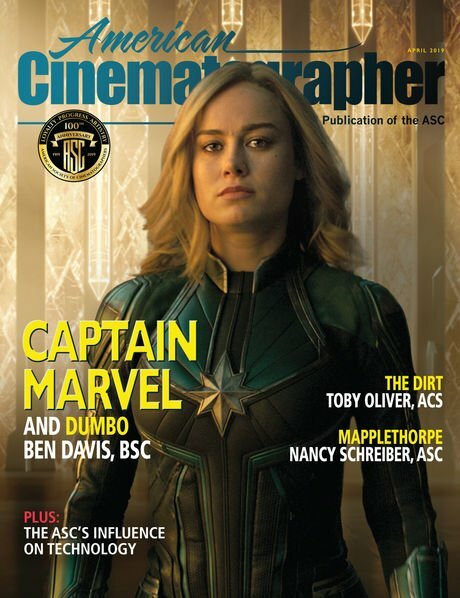 The production was the eighth for the two filmmakers. 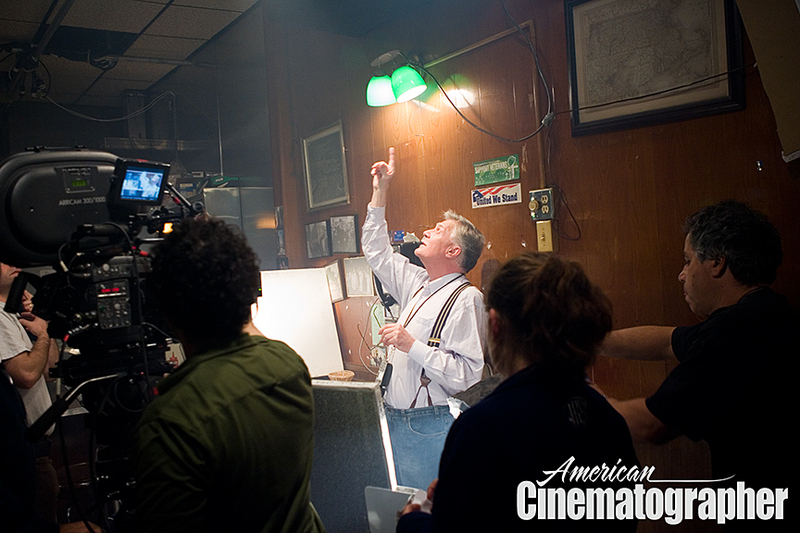 Also of note, Ballhaus was honored with the ASC's International Award in 2007 for his outstanding body of work. These stills here were shot by unit photographer Andrew Cooper, SMPSP. 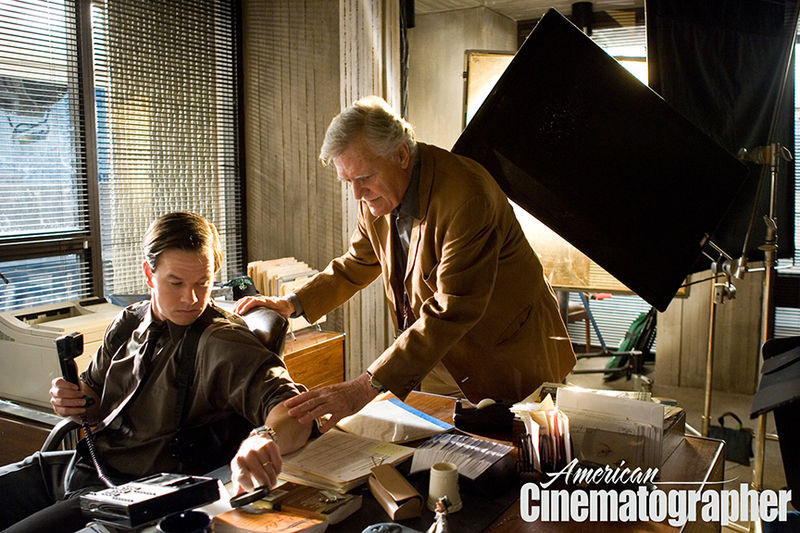 At the eyepiece, and sporting his trademark suspenders, Michael Ballhaus, ASC frames up a shot on Leonardo DiCaprio while filming The Departed (2006), directed by Martin Scorsese. Ballhaus takes aim. 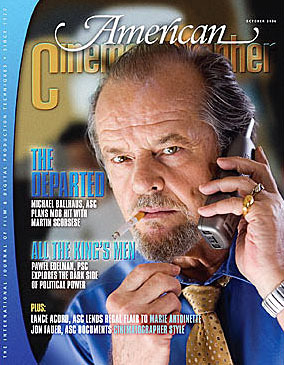 Film stocks used to shoot The Departed included Kodak Vision2 500T 5218, 200T 5217 and Expression 500T 5229, completed with a DI done at Technicolor Digital Intermediates with colorist Stephen Nakamura. 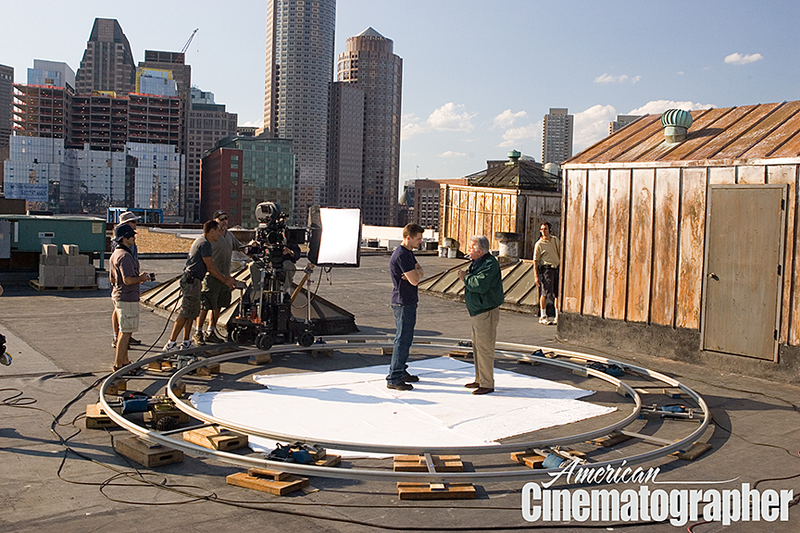 Unfortunately, this shot featuring DiCaprio and Sheen captured in a classic Ballhaus circular dolly setup, was trimmed from the finished film. 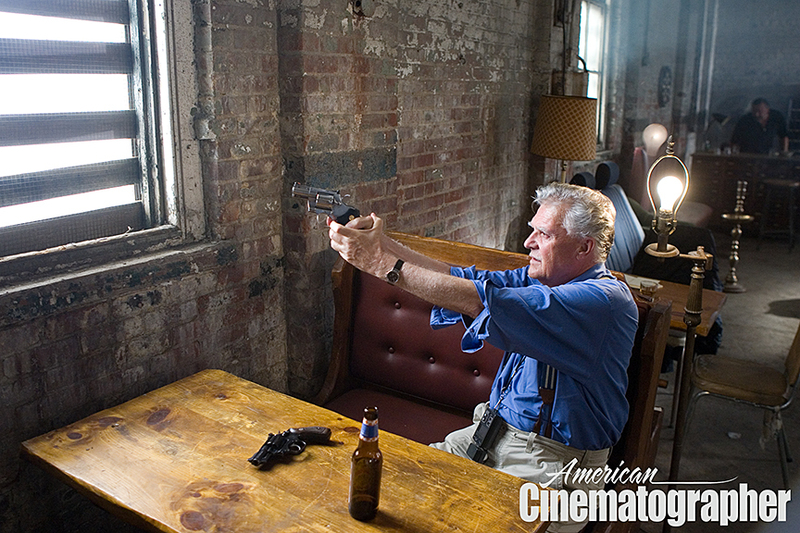 Ballhaus and Scorsese are joined on the set by a close collaborator, editor Thelma Schoonmaker. 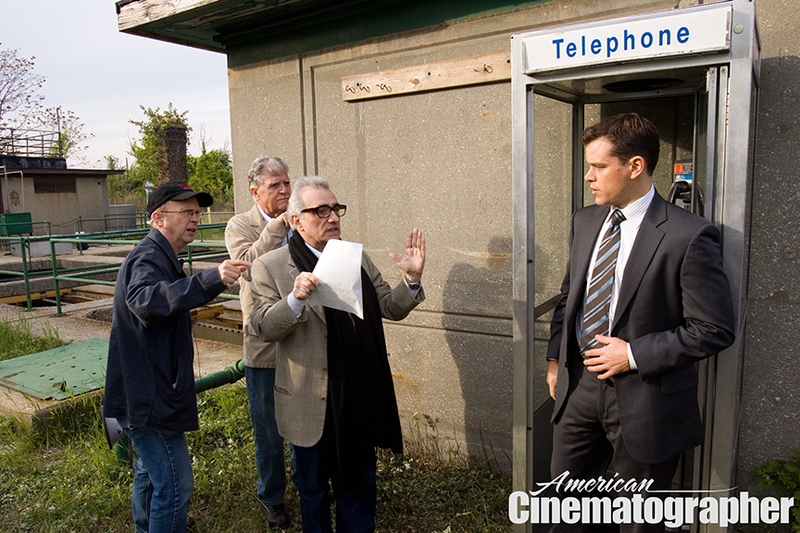 From left, 1st AD Joe Reidy, Ballhaus and Scorsese plan coverage on Matt Damon. 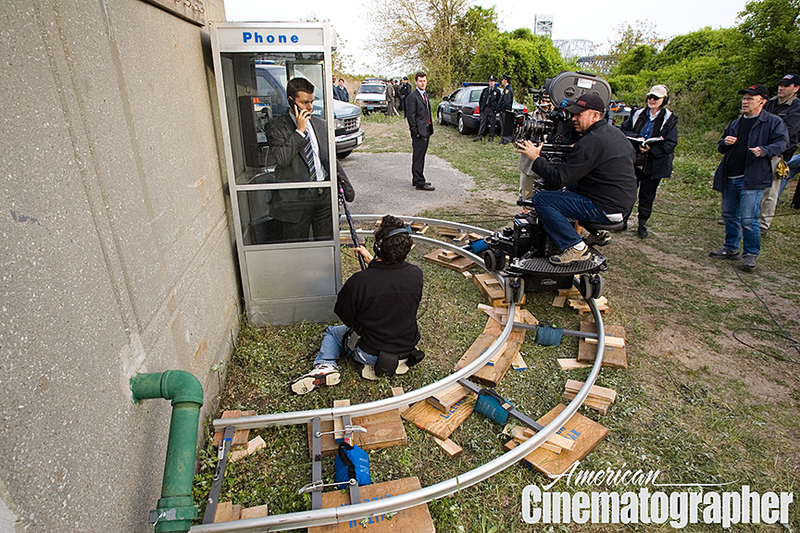 A semi-circular dolly move captures the action in dynamic fashion. A Mo-Sys remote head came into play for a scene featuring Damon and Vera Farmiga. 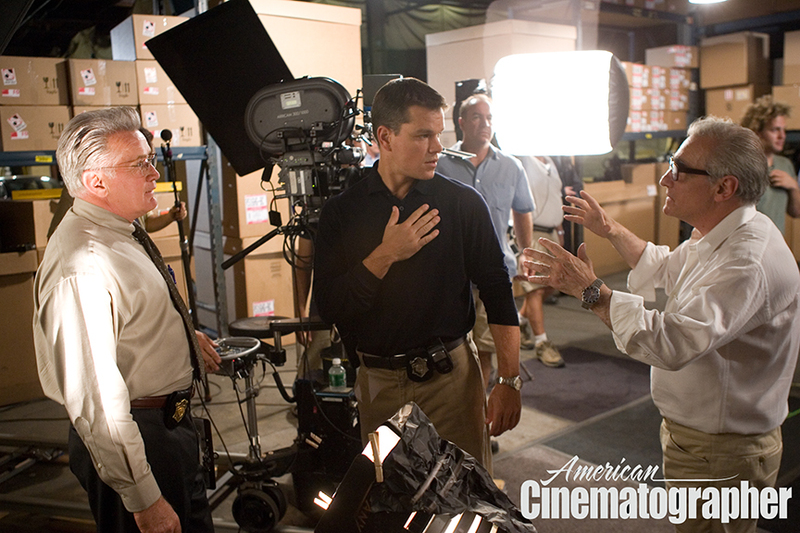 Martin Sheen and Damon confer with Scorsese. "Anyone need a shot?" 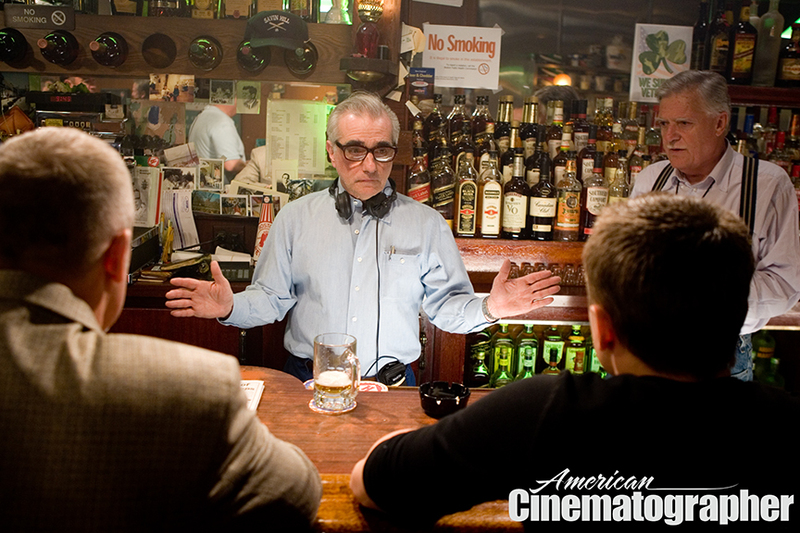 Scorsese tends bar while Ballhaus plots his coverage. 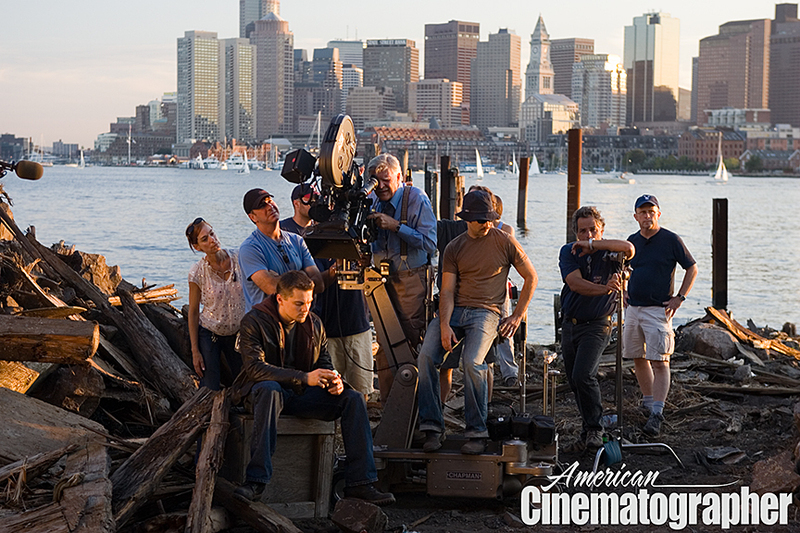 Ballhaus artfully positions Mark Wahlberg for a close-up. 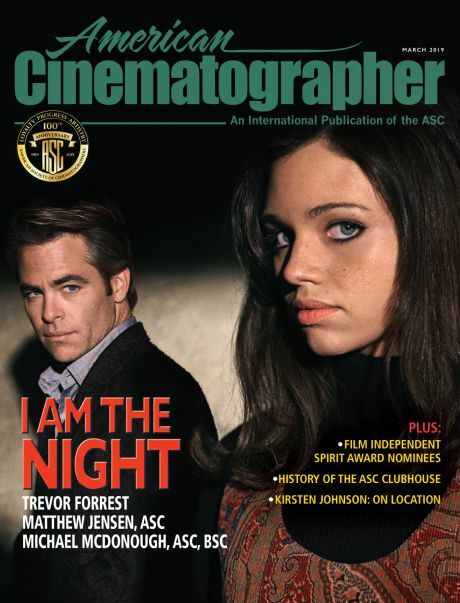 You’ll find the complete story on the making of the film in the October 2006 issue of AC, which you can purchase here.